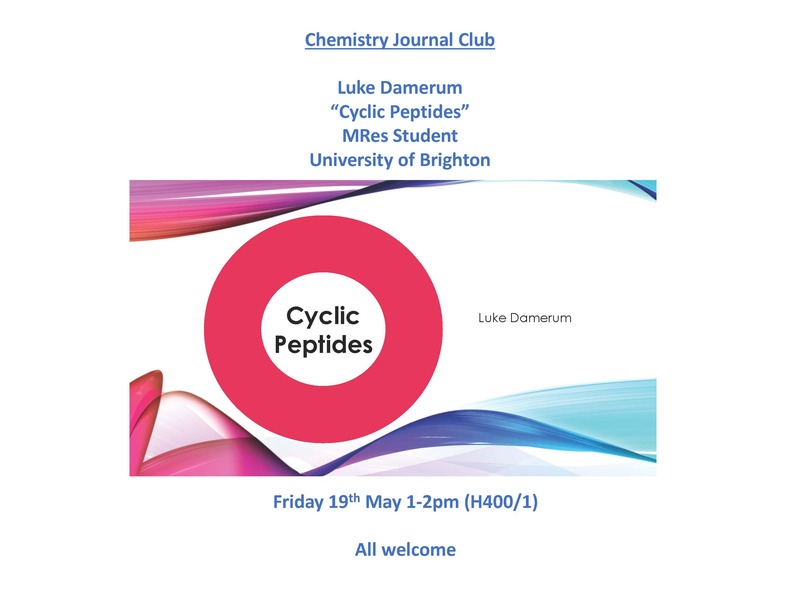 At the Chemistry Journal Club this week, Luke Damerum (MRes Student) will be delivering a presentation “Cyclic Peptides“. This entry was posted in chemistry, chemsoc, postgraduate, research, staff, undergraduate by Steve Meikle. Bookmark the permalink.